At Osborne Industries, we pride ourselves on our commitment to quality. Our team of employee owners continually strives to ensure every product or service we offer meets or exceeds our customers’ expectations. We believe that our products must provide efficient service and the stand test of time. In 2009, Osborne obtained quality certification to the ISO 9001:2008 standard and continues to maintain this certification to ensure every product or service we sell meets or exceeds our customers’ expectations. Our Quality Management System (QMS) covers management responsibilities, product realization and development, equipment calibration, corrective and preventative actions, document control, product inspections, and internal auditing, just to name a few. Through these processes and procedures we continue to strive toward perfection in the quality of our products and services. Our policy has always aimed at aligning with our mission to promote innovative products that benefit our customers. 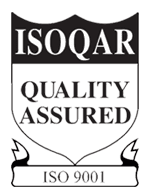 To view our current ISO 9001:2015 certificate, click here. The goal of ITAR policy safeguards U.S. national security and furthers U.S. foreign policy objectives. 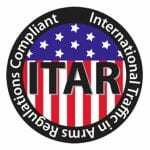 Owing to Osborne’s business in defense articles and their related data, the ITAR policy, ensures the materials, processes, and technology is always protected.